Are you having problem to brighter skin of your Facebook Messenger? Sometimes it affects your eye sight when you grab your phone every time you check messages from dark room right? 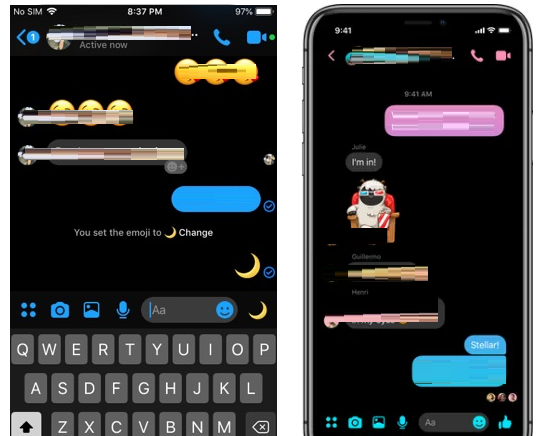 Now, Facebook Messenger is bringing to its user the Dark Mode feature which really helped protecting our eyes from brighter mode. 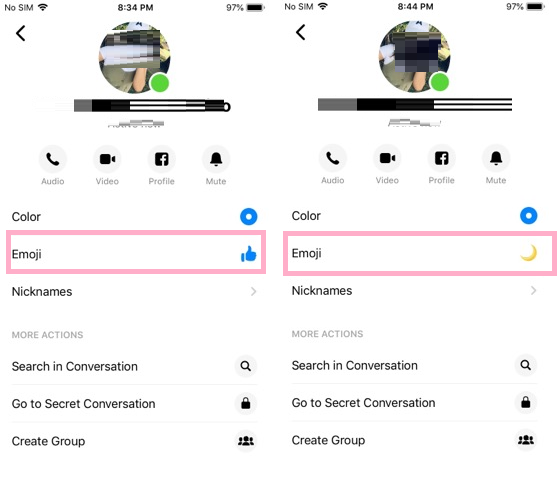 To activate this Dark Mode, you have to do some little changes in the settings of your messenger. 1. Pick a chat with any of your friends. Click your friend profile were you can see chat's setting. 2. Usually you can find the default thumbs up emoji in most chats setting, click and change it to the moon emoji by selecting it on the available emoji provided. 3. Your almost done, an alert message will pop-up saying the feature can now be enabled. 4. Lastly, head to App Settings and you'll find a Dark Mode toggle. Tap on it to enabled it. That's it and your done, the moon emoji will forever stored in App Settings, for you to change the skin of your Facebook Messenger easy to turn it back off and on.